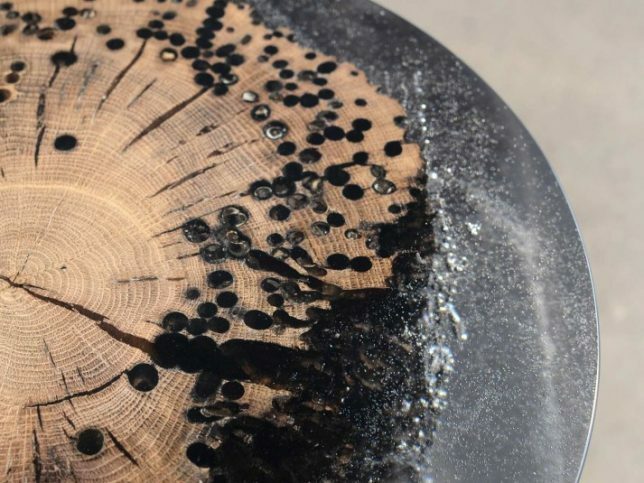 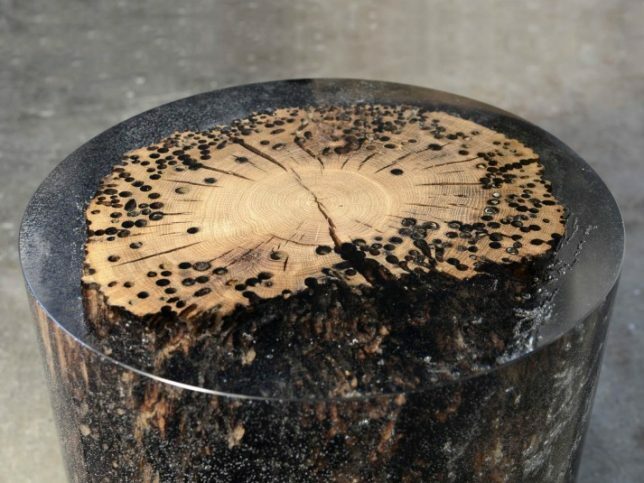 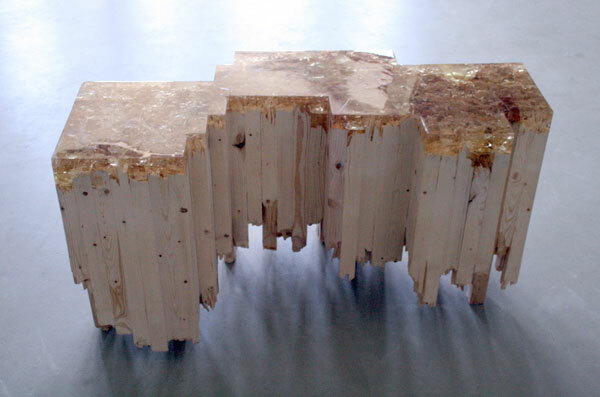 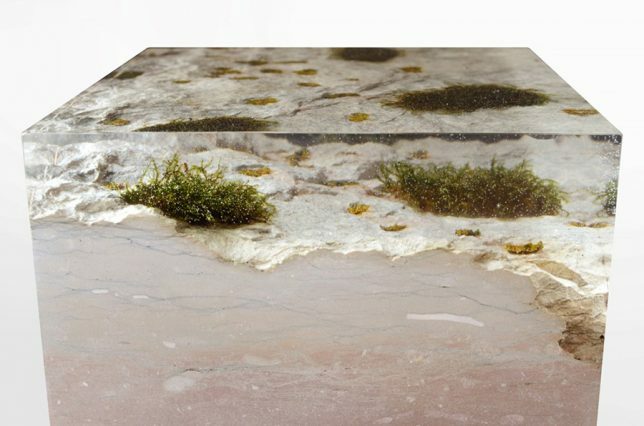 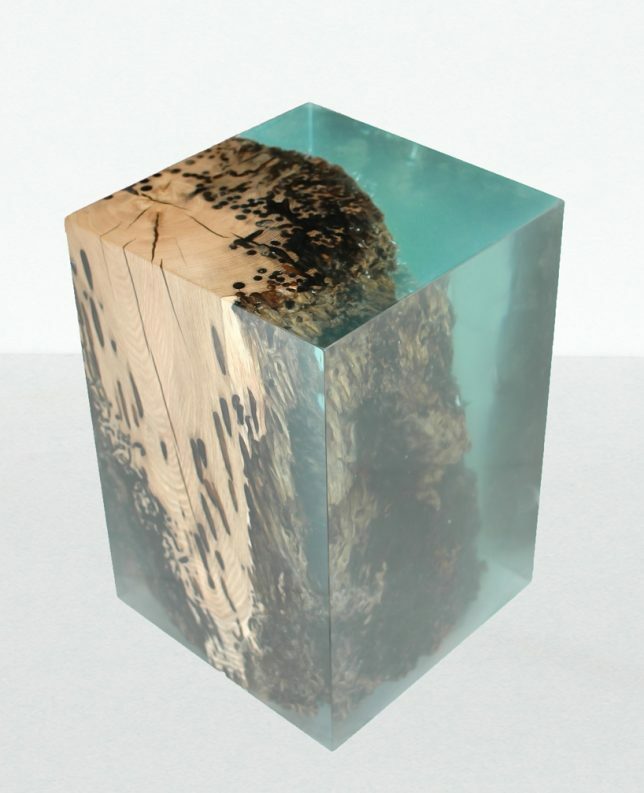 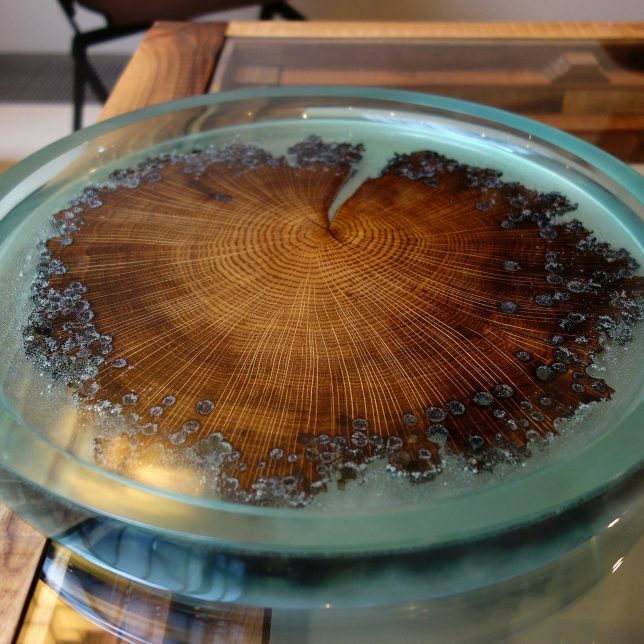 When married with clear resin, voids in wood or stone created by years of use, natural burls, intentional damage and even shipworms are made whole again, while leaving their ‘wounds’ visible. 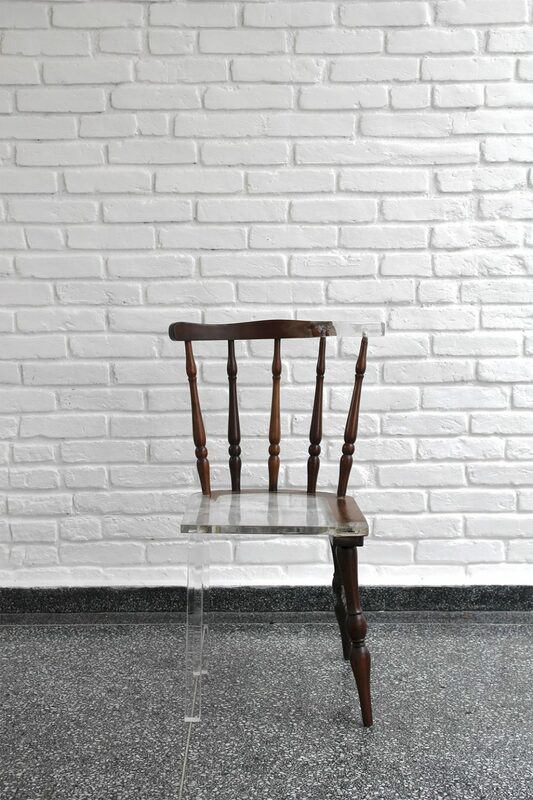 Broken furniture is repaired with ghostly additions, splintery snapped boards are made smooth and literally ancient time-worn wood is preserved for posterity like insects caught in amber. 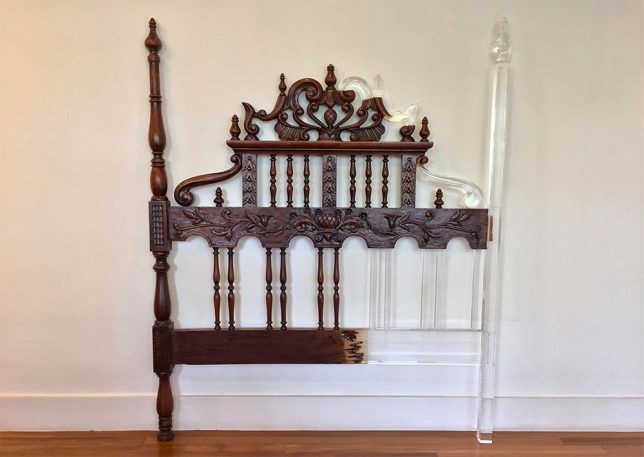 The results not only salvage items though to be beyond repair, but also make them feel like museum-worthy artifacts. 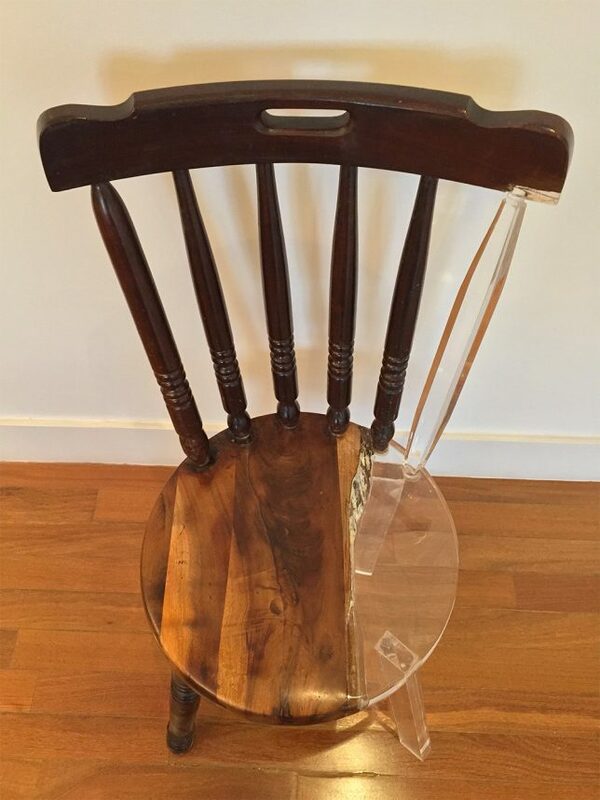 Pieces of furniture that seem broken beyond repair are proven salvageable after all, with their missing pieces seemingly made invisible. 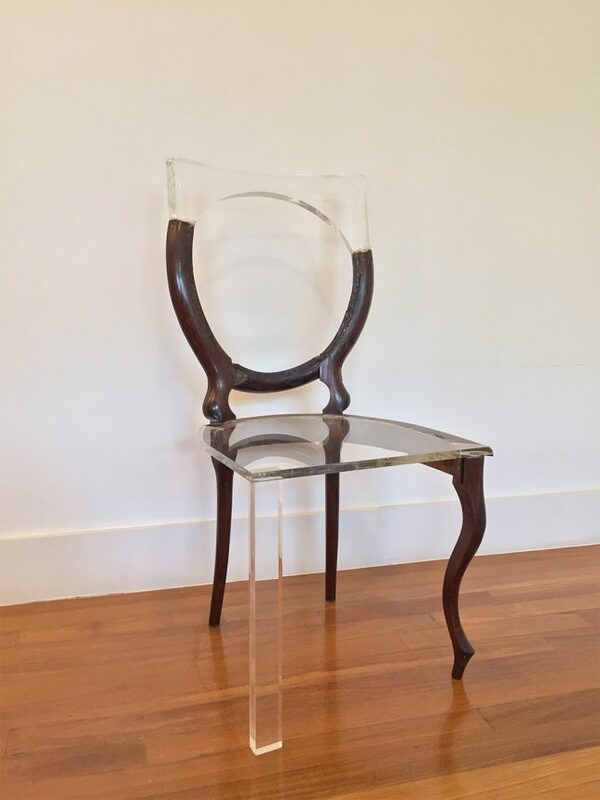 Tatiane Freitas created the series ‘My Old New chair’ using translucent acrylic, the new elements matching the scale of the older pieces but not the style. 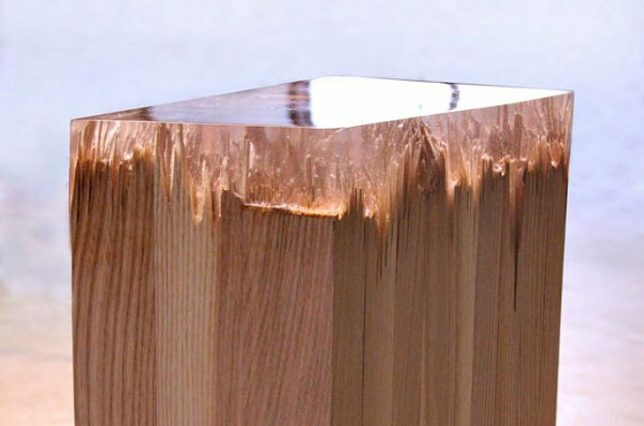 The results intentionally leave the ‘wounds’ of the old furniture visible and highly noticeable, as if the acrylic is a ghost of what once was or a hint at what it could evolve into. 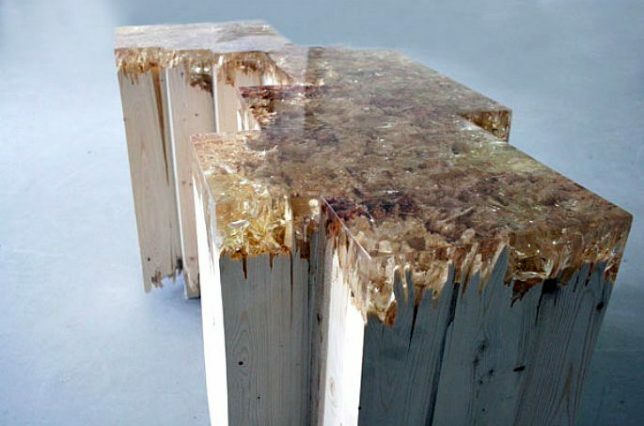 Smashed and reconstituted pine wood gets a whole new purpose – and surface – thanks to Detroit-based industrial designer Jack Craig, who seals them with caramelized resin for his ‘Broken Board Series.’ The splintered ends of the wood are visible through the resin for an interesting textural effect. 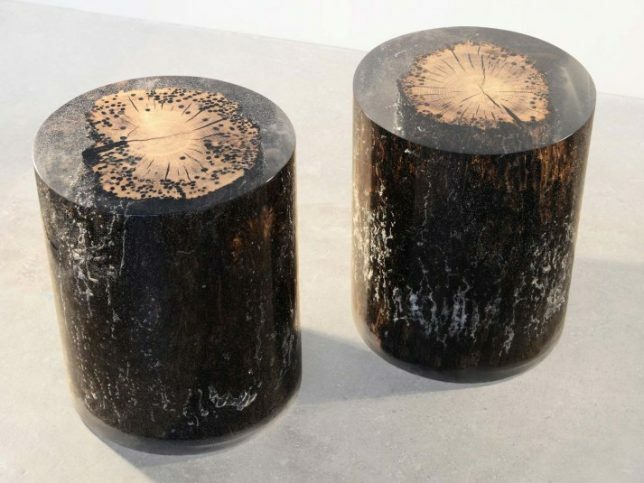 The MANUFRACT series of furniture by Marcel Dunger mimics the way trees heal themselves by releasing resin into their ‘wounds.’ The hand-crafted furniture is made of broken wood patched with tinted resin in a manner reminiscent of kintsugi, the Japanese art of repairing a broken piece of pottery with gold. 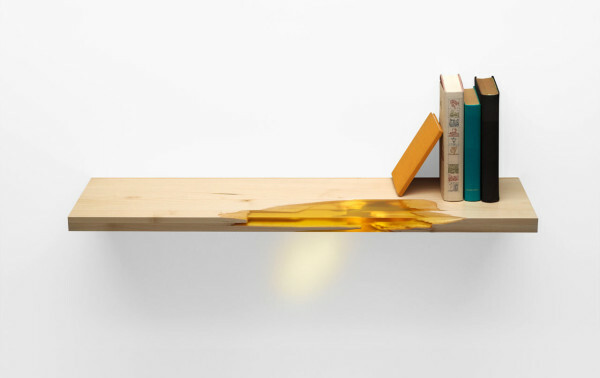 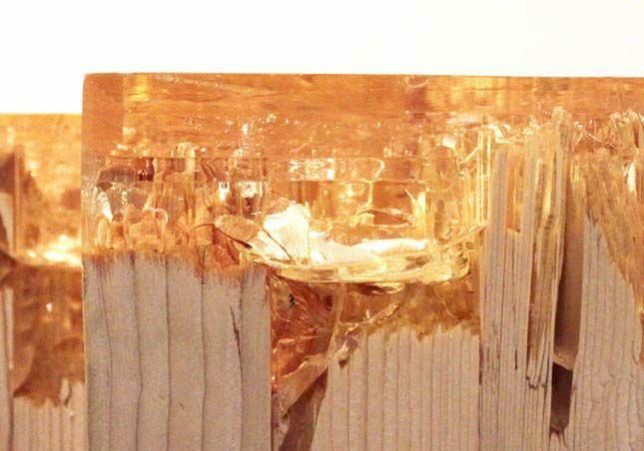 The ‘VOLIS’ series by Atelier Insolite embeds objects with resin, including shelves, side tables, coffee tables, consoles and other furniture items. 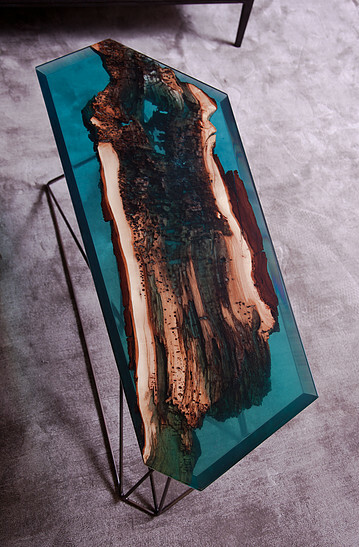 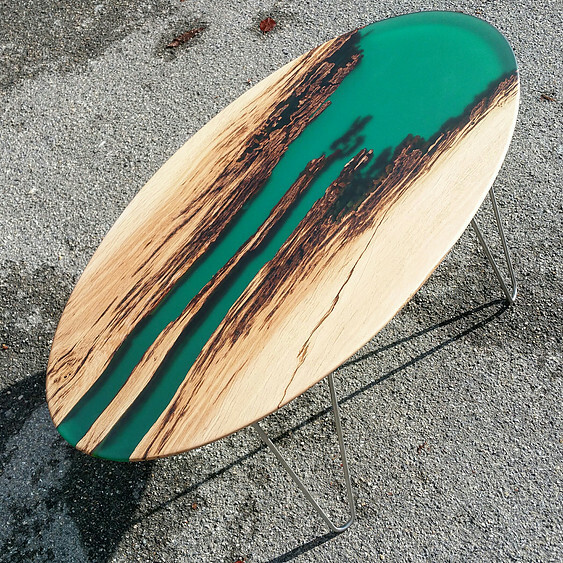 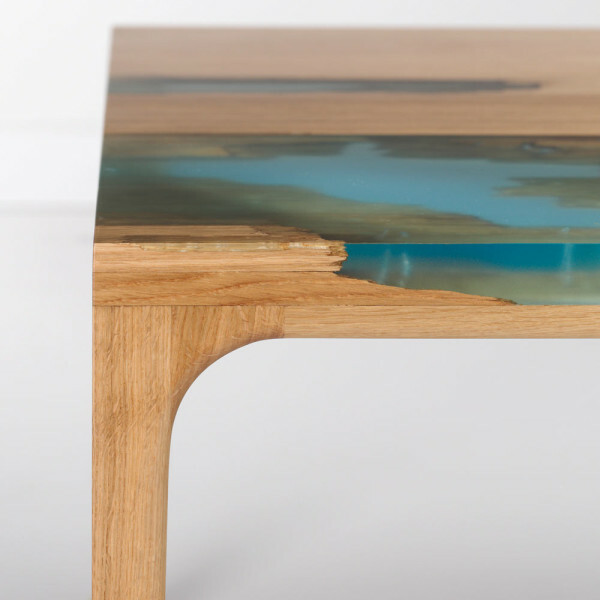 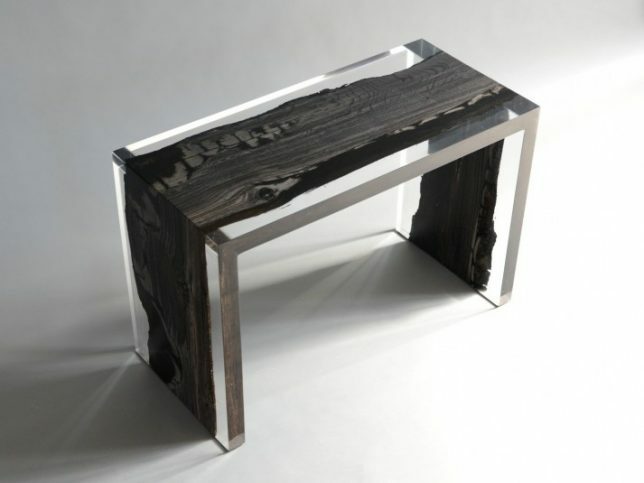 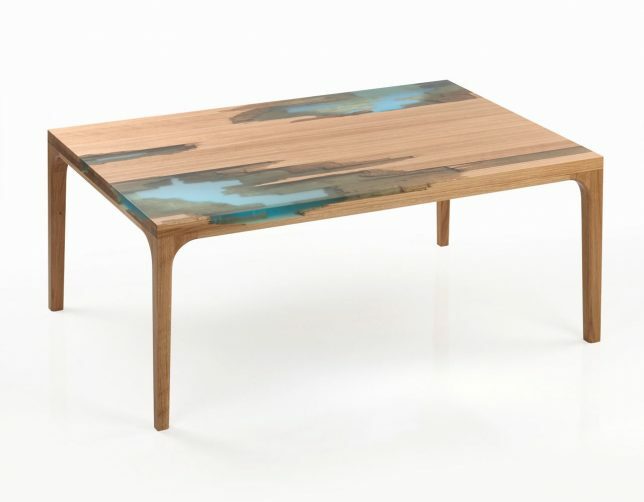 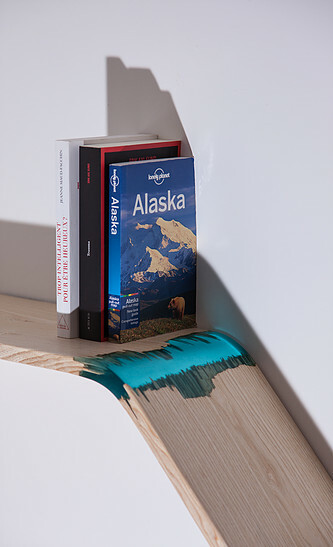 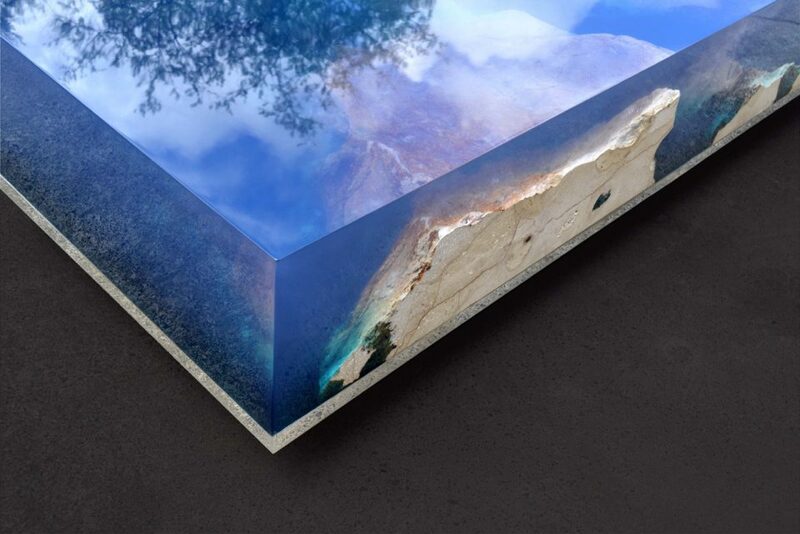 The designers intentionally seek out wood with natural voids and broken-off elements so they can fill in the spaces with blue-tinted resin, giving the finished pieces an oceanic feel.